According to the World Wildlife Foundation, in 2014 the total population of African elephants was estimated to be around 700,000, and the Asian elephant population was estimated to be around 32,000. The population of African elephants in Southern Africa is large and expanding, with more than 300,000 within the region; Botswana has 200,000 and Zimbabwe 80,000. Large populations of elephants are confined to well-protected areas. However, conservative estimates were that 23,000 African elephants were killed by poachers in 2013 and less than 20% of the African elephant range was under formal protection. In 2013 alone, over 1,000 park rangers were killed while attempting to defend African elephants from poachers. The elephant is a terribly endangered animal and it may only be a few more decades before there are no more wild elephants left. This is a magazine for the very rich. 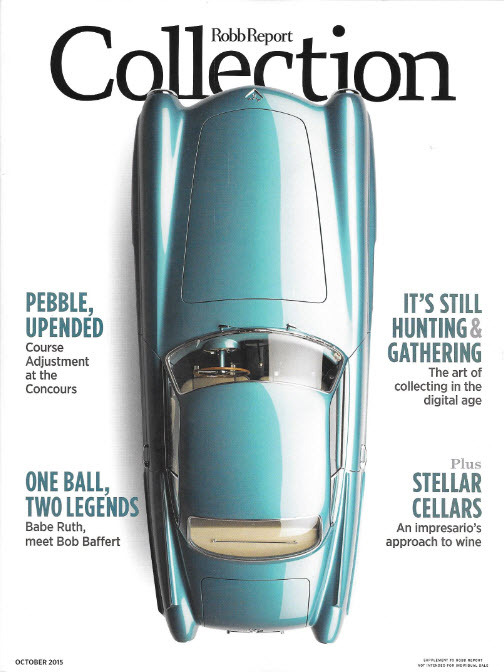 It is full of articles and advertisements for super cars, private jets, 3rd homes in remote islands, art and culture, and – apparently – big game hunting. It is beyond my comprehension how BigGame.org can position itself as a conservation and education organization, when it’s really just a club for big game hunters – the Dallas Safari Club. It makes it sound like killing elephants is a noble and worthy endeavor. Tell me what you will, we can educate and observe completely without shooting a single elephant for sport. Making it sound like hunters are the good guys in this terribly destructive game is simply irresponsible. Hunting big game for sport is as outdated as slavery. 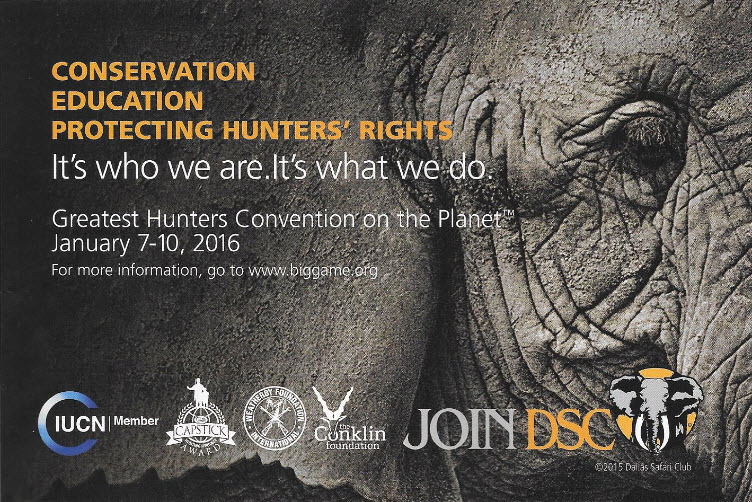 What exactly are “hunters’ rights” that need to be protected? Sounds kind of like protecting the rights of slave owners to me. Elephants, along with whales and apes, are the most intelligent creatures on this planet, and we’re wiping them out – for sport (in the case of big game hunting) and the relentless greed for ivory in mostly Asian markets. We humans have a responsibility to protect our fellow intelligences.